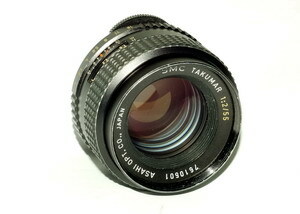 This lens is a second Takumar in my collection, Takumars are quite rare in Hungary. Much easier to get any Japanese and German lenses than Asahi Pentax lenses in M42 screw. So I am happy to get it, I heard about this lens: great for close-up works, because pretty sharp and focusing distance is quiet short. I found after the test this lens has beautiful bokeh and quite good sharpness. I not recommend for close-up works, just if you don't have money to take better lens for this purpose. This lens has same sharpness than Helios-44 58mm f/2 and Biotar 58mm f/2. I found it has better bokeh than Helios and Biotar, really close for Pancolar 50mm f/1.8. If I need to make an order between this lenses, first place for Pancolar and Takumar, second place for Biotar 58mm f/2 and Helios-44 58mm f/2. If you need a very good general purpose ~50 mm lens , this lens a perfect choice. A very sharp lens,very good multi coating, very high quality, all metal construction (except the rubberized focusing ring), very smooth focusing. The older 55mm f2 lens is razor sharp. I really like the SMC Takumar 55mm.f2 lens very sharp with great color rendition!!!!!! Dear Attila! It is an interesting site!